ShopStyle is my first destination when searching for specific items to add to my closet - their user friendly search platform helps me find the exact items at the price that fits my budget. So I was super excited when they asked me to share my capsule wardrobe for this coming holiday season. Right now I am loving anything with sparkle, & the combination of saucy bottoms (pleated leather skirt, sequin leggings) with cozy layers like plaid, faux furs, & chunky knits. 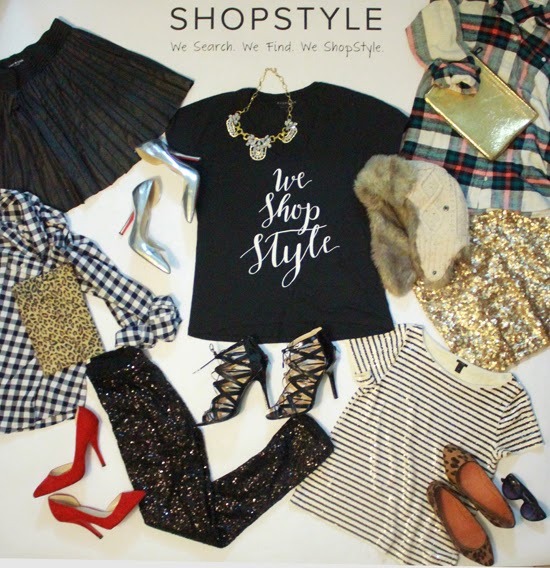 Have you ever used Shop Style? What is on your mind for holiday outfits? So many fun pieces! I'm really loving the sequin leggings!